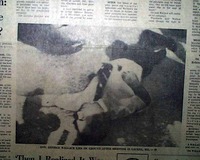 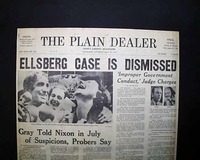 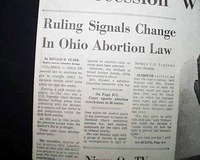 CHICAGO SUN TIMES, June 29, 1978 The front page and pgs. 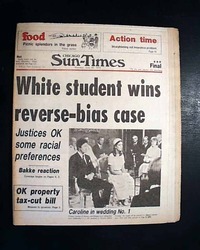 4 & 5 have significant coverage of the landmark Supreme Court decision in "Regents of University of California vs. Bakke", an historic case which upheld affirmative action. 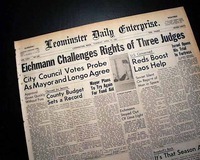 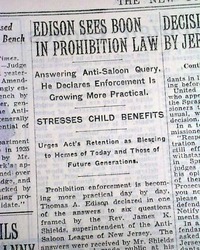 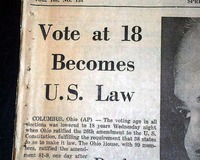 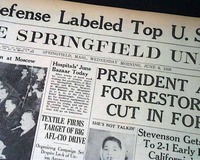 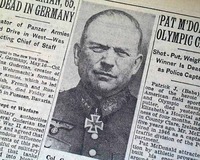 The front page has a two column heading: "Vote at 18 Becomes U.S. Law" 1st report coverage on the adoption of the Twenty-sixth Amendment to the United States Constitution setting the voting age at 18 years. 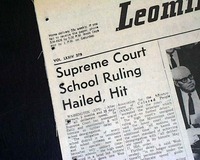 The top of the front page has a two column heading: "Supreme Court School Ruling Hailed, Hit" and more. 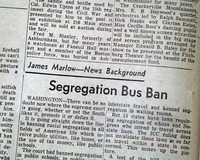 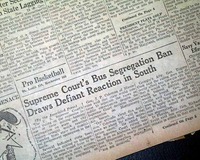 First report coverage on the Supreme Court ruling that school districts must end segregation. 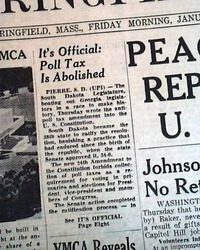 THE SPRINGFIELD UNION, Massachusetts, Jan. 24, 1964 The top of the middle column on the front page has a head: "It's Official: Poll Tax Is Abolished", which reports on the ratification of the 24th Amendment to the Constitution outlawing any tax to be paid as a prerequisite to vote in any federal election. 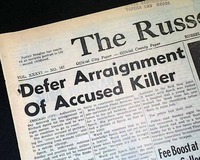 Most of the report carries over to page 8. 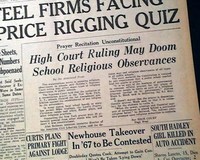 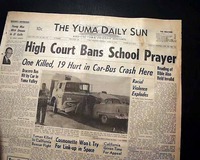 The top of the front page announces a significant Supreme Court ruling which would change the way daily activities in public schools across the country would be conducted. 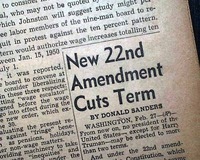 The front page has a one column heading: "New 22nd Amendment Cuts Term". 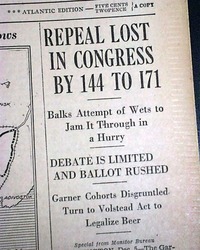 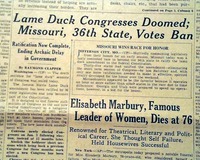 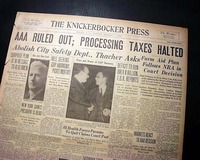 1st report coverage on the passing of the twenty-second amendment which sets a term limit to two for the president of the United States. 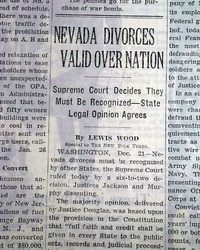 This 100+ page Sunday issue has one column headlines on page 4 that include: "NEW CONSTITUTION ADOPTED BY INDIA". 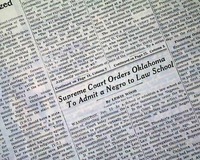 See photos for complete text. 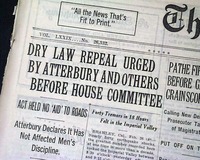 Tells of India adopting their own Constitution being passed by the Constituent Assembly. 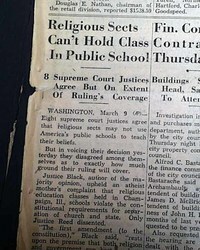 The front page has a one column heading: "Religious Sects Can't Hold Class In Public School" with subhead. 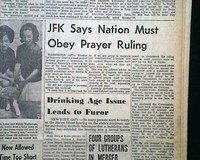 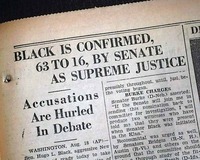 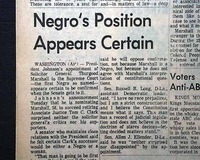 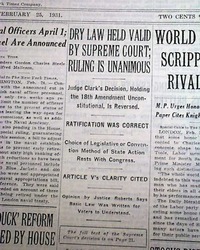 (see) First report coverage on the famous Supreme Court ruling. 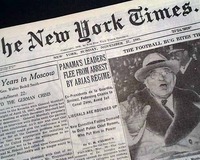 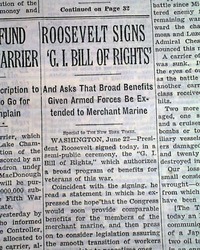 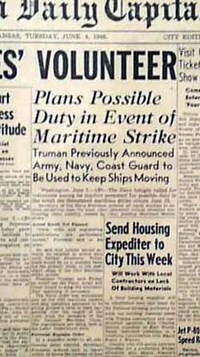 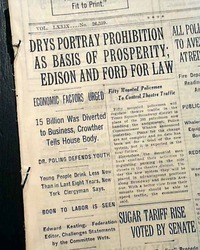 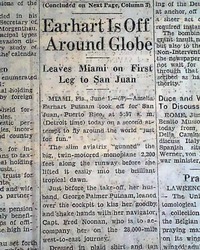 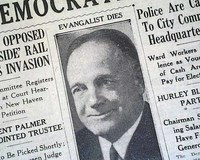 The front page has a one column heading: "ROOSEVELT SIGNS 'G.I. 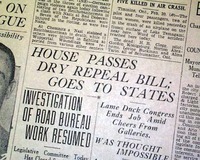 BILL OF RIGHTS'" with subhead. 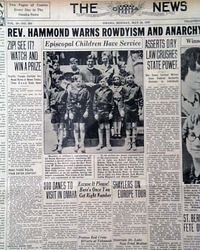 Continues on the back page (pg. 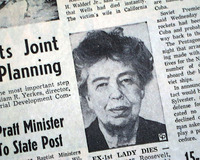 32) with photo of the signing by President Franklin D. Roosevelt. 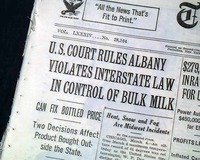 The top of the front page has a two column headline: "U.S. COURT RULES ALBANY VIOLATES INTERSTATE LAW IN CONTROL OF BULK MILK" with subheads. 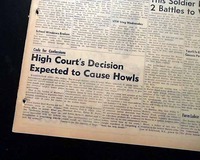 (see) Lengthy text continues inside with complete court ruling. 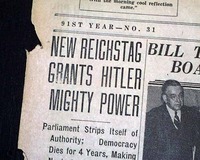 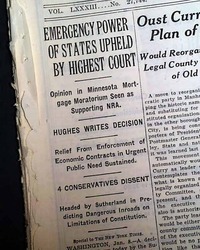 The top of the front page has a one column heading: "EMERGENCY POWER OF STATES UPHELD BY HIGHEST COURT" with subheads. 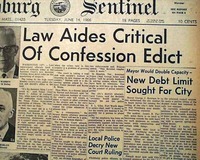 (see) Lengthy first report text continues inside. 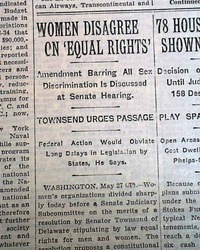 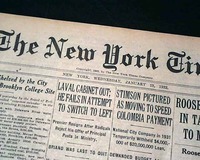 NEW YORK TIMES, January 13, 1932 Near the bottom of the front page is a significant report on the feminist movement, announcing the election of the very first woman Untied States senator: "Mrs. Caraway Wins in Arkansas Balloting; First Woman Elected United States Senator". 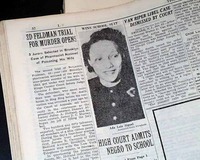 See the hyperlink for more on Hattie Caraway. 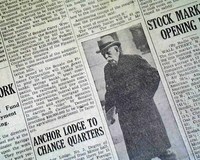 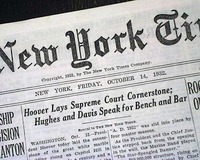 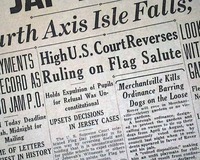 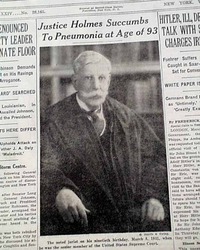 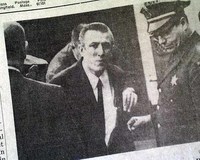 This 8 page newspaper has one column headlines on the front page that include: "OLIVER WENDELL HOLMES RESIGNS", "As Justice of the U.S. Supreme Court for Many Years" and more with photo of Holmes (see photos).